How Does Theo Epstein to the Cubs Affect the Padres? 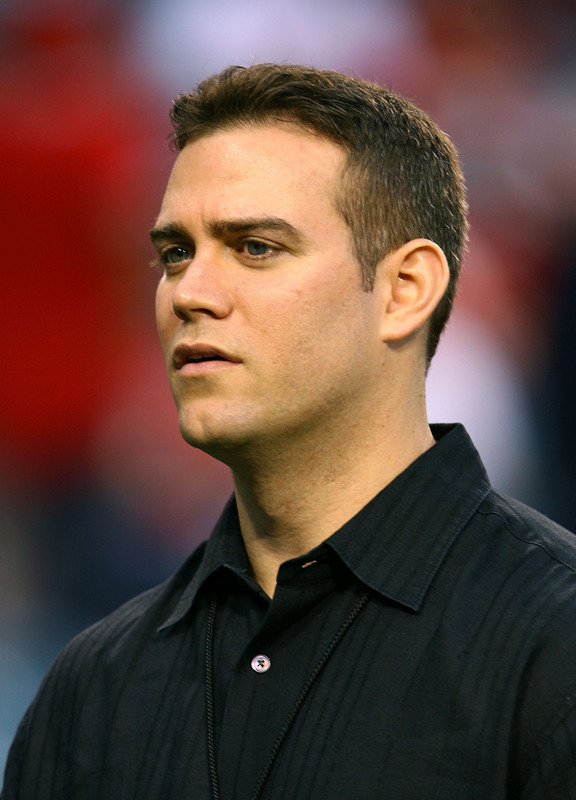 Well, sources are saying that this Theo Epstein to the Cubs is finally a done deal. There was tons of speculation last night that it was about to go down, but nobody could confirm that the Red Sox/Cubs/Theo combo had come to a deal. Now reports are saying he’ll get 5 years for somewhere between $15mill and $20mill. Huge chunk of change… good for him. He’s already in the conversation, but if Theo brings a championship to the Cubs, after bringing a championship to the Red Sox, he’ll go down as the most famous GM in history…no discussion. How does this affect San Diego? It’s a legitimate question. Padres GM Jed Hoyer is good buddies with Theo, and going back to the Larry Lucchino days, the two franchises have had a good working relationship (think Doug Mirabelli). Will this change that? Possibly, but I still think Jed knows tons of folks in the organization, so I’m not too worried about that. If anything, it will better our relationship with the Cubs. As for some limited chatter on Twitter that I’ve seen about Jed Hoyer being a candidate to replace Theo as GM in Boston? Does that concern me? Nope. Not at all. I don’t think Jed’s going anywhere. However, if there’s any truth behind it and it’s not just pure speculation? Hell yes it concerns me. 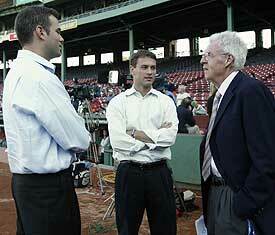 I love Jed as the Padres GM, and Boston’s a tough job for anybody to turn down. However, if they were to offer him the job, (this is purely speculation on my part) I think Jed wants to make a name for himself here in San Diego… just like Billy Beane did in Oakland. Sure, Jed was a part of bringing Boston a World Series title in ’04 and ’07, but those titles were attributed to Theo, not Jed, despite the part he played. He’s been living in the shadow of baseball’s youngest ever GM for a long time, so going back to Boston as GM to Theo’s team, isn’t going to help that shadow. What do you lobsters think? How does Theo to the Cubs affect the Padres? This entry was posted in Baseball, MLB and tagged Cubs, jed hoyer, jed hoyer padres, Padres, Red Sox, theo epstein, theo epstein jed hoyer. Bookmark the permalink.